Help to keep running a Primary School. Hi I am Dipika Sharma and I am one of the organizers of this campaign along with Achute Sharma and Ishan Sharma. We do not belong to any NGO or organization. This school is located in our maternal village and having seen the condition of the village first hand, we decided to do our best to find the help required. The story began when I took a trip to visit my grandparents. As a child, I had known that there was a school in the village run by one of my uncles. The land for the school had been donated by my grandfather. Little did I know of the hardships faced by the school. On my most recent trip to the village, I went by to visit the school children. On reaching there I was saddened to see the condition of the school and the classes. The school receives no aid from any organization, governmental or otherwise. It has no facilities and no money to pay the salary of the teachers. As most of the children in the school belong to Below Poverty Line families, a nominal fee of Rs. 150 is charged, all of which are utilized in maintaining the stationery for the classes. 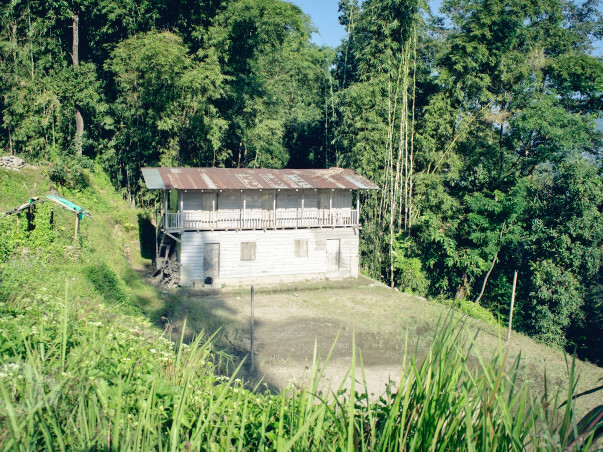 Bich Pabak Primary School is located in a remote corner of the Kalimpong District, West Bengal, India. Back in 1992 where there was no school in the village, Late. Shri Pushpa Lal Adhikari donated a small plot of his land to build a school. 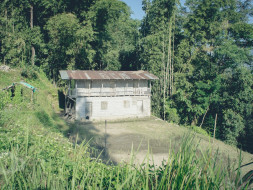 His son Mr. Devendra Adhikari along with the support of villagers established the school in early February 1992. 26 years have passed by and the school still stands, a testament to the grit of its founders and teachers. But the fight hasn’t been easy. There are four volunteer teachers taking care of the 39 enrolled students. There are no funds for the maintenance of the school, or for the mid-day meals, let alone the salary of the teachers. Only the nursery children get their midday meals at the ICDS. Such financial conditions may soon be the cause for the school shutting down. This will be a big setback to the people of the village as there still is no other school in the immediate vicinity. As such, getting help to this school is of paramount importance. It could be in the form of funds, or materials, or time. Any help is appreciated. Games and sports items, etc. We request you, whoever is reading this, please join us and be a part of the development of this school. Your donations in any form could mean everything to this school and its students. Thank you for your love! The money raised from here will be used to start the work. We will share the update as well as invoices as we progress. Thank You so much for your contribution. Being in a area with limited access it took us time to show our heartfelt gratitude. The money will be used to rebuild the school. Will keep updating the progress. Great initiative, please use the fund and provide us with some updates along with beautiful pictures. Good luck ! !